Gerbing's Heated Gear is now in stock and shipping from RevZilla.com. Since 1976, Gerbing's has been producing premium heated motorcycle gear, ever refining their technologies and improving the quality of their gear. A recent contract with the Department of Defense led to Gerbing's newest innovation yet: microwire. Prior to this invention, copper wire was used ubiquitously in the heated gear world. Microwire, hundreds of hair-thin stainless steel fibers encased in teflon, is woven throughout every piece of heated gear that Gerbings manufactures. The significant factors here are what microwire offers over copper wire or other technologies: it is up to 50% lighter than other heated gear and it heats almost instantly. A big caveat for the US Military was the need for gear that heated up rapidly; copper wire simply took too long to get warmed up. Within an astonishing four seconds, Gerbing's heated motorcycle gear is hot and ready to keep you toasty. Most riders start with a pair of heated gloves or a heated jacket liner; the tendency is to fall in love with the stuff at that point and expand out to the rest of the Gerbing's line. For that reason we generally recommend starting off with the Dual Temp Controller as opposed to the Single Temp Controller even if you're only picking up one piece of apparel to start. It affords you a great deal more versatility in the long run. 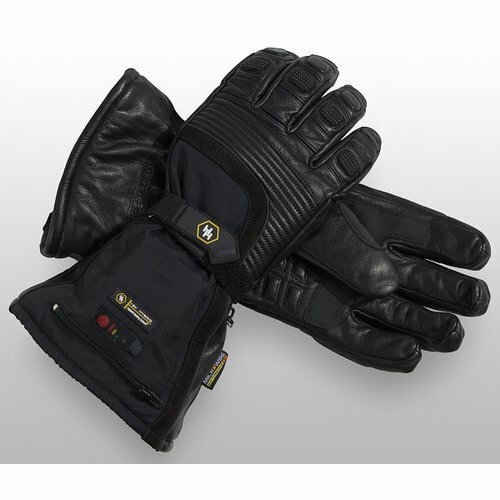 Check out the full line of Gerbing's Heated Jackets, Gloves and Pants by visiting RevZilla.com. We also have several other Gerbing's videos available at RevZillaTV including a Gerbing's connection guide and Gerbing's sizing guides. You can compare to other extreme cold weather gear by visiting our Heated Motorcycle Gear section. Stay tuned for more on the RevZilla Blog about Gerbing's Heated Gear.